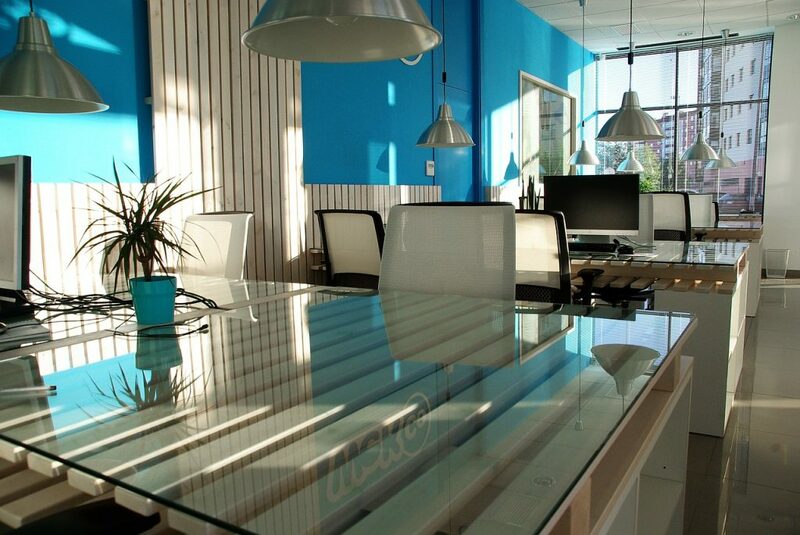 Your office space is an important asset to your company. It affects employee’s moods and the way they work as a result of it. It is up to business owners to thus ensure that the interior design of the office, and everything concerning its layout, is top notch. If anything requires maintenance, it must be improved, and more than that, it must be a space that inspires people. Do you find that the workers constantly look at the clock, hoping the day will end? Does the office encourage people’s creative thinking? What are the types of colors that dominate the various rooms? These are the type of questions that must be considered, among many others. See the points below for how you can improve the look of your current office space and make it more exciting and inspiring for everyday employees. What are you able to work with? There will be things that you can and cannot do given the space you currently have, and you should seriously consider what those are. 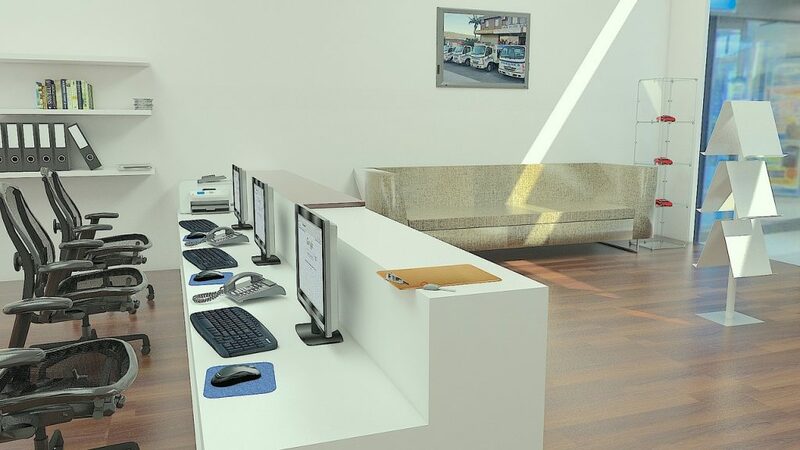 If you want to expand your office and feel as if it requires extensive renovation, you can also consult an architect to get their opinion on the logistics, cost, duration, and more. On the flip side, you can simply stick to what you have and make a note of the negative space, in order to decorate the interior of the company in the most aesthetically and pleasing way possible. You don’t want there to be too much empty space in the middle, but nor do you want people’s desks to be stacked on top of each other. There is a fine balance, and you need to find it. There is a big difference between open versus closed space layouts. There are pros and cons of both, and you must decide what will work best for your company. For instance, when it comes to deciding on an open plan office space, it will inspire collaboration between employees, but at the same time, it could be hard to focus if you are constantly surrounded by people. That is why it would be ideal to have a mixture of both office styles in one place. The windows play two important roles within the office. First, they are a source of light, and there must be enough natural light in the room for people to not be falling asleep mid-afternoon. Moreover, it can help people’s productivity as being in a well-lit room can instantly improve your mood. On the other hand, your company must install the best window types. The durability of them is just as important, rather than simply having a clear glass within the space that lets in light. For example, commercial window tinting is recommended for offices all over the world as they help reduce the heat and glare from the sun and thus make the people inside the rooms much more comfortable. Employees are not robots, and they need breaks to work efficiently. While you can do this by getting up from your desk and stepping outside, you should create an employee break room where people can go and sit and relax. More so, this can be a space where people talk to one another, and socialization within the office is always good for personal happiness. Given the fact that the décor can make a huge impact on how a place looks and feels, you should also adopt some more fun decorating desk ideas, even around the office walls. Who wouldn’t be happy when they walked in the office in the morning and saw colorful and abstract sculptures by the front door? Surrounding yourself with various items that are patterned helps inspire people as well. The third component requires you to include fun activities within the office. Having everyone take a communal lunch together, for instance, is a small thing that can benefit every single employee. Thus, a good lunch spot is key. Additionally, when you are renovating, look at your opinions for turning one of the rooms into an activity room. Perhaps include a rock-climbing wall, some hammocks, a gym, a board game room or something else where people can go and spend more time when they need to take a break. This will be even more inspiring than sitting in a separate office room, although having one of these is important as well. Sometimes, people just need to sit and scroll on their social media, or talk to some friends and family members, so as to not be tied to the desk all day. Color affects mood, and it is thus important to consider this when doing the interior design of the business. If the various rooms within the office are currently white and blank, this should be changed as soon as possible. Even adding some fun paintings to decorate the place can instantaneously change the atmosphere. Don’t be afraid to experiment with different options, either. Mix it up with different colors, shades, patterns, and even combining them all within the same room. It would be worth your while, as a company, to ask the employees what they think could be improved within the office. They spend a lot of time there, and some people may offer up ideas that you otherwise would not have thought about. This also shows that you value their opinion, and it further goes to strengthen the relationship between the workers and the business. Having employees who appreciate the organization, and who feel this returned, will always produce higher quality work. This is due to the fact that they will be inspired to give it their best effort during the day. While you are adding a lot to the office, you must also adopt storage spaces and compartments. Even if you want the place to be filled with various different types of décor, you still want to ensure that people can easily walk through the spaces and don’t feel as if they are in a maze while at work. Make sure everything has its place is kept neat and tidy. At the end of the day, the amount of clutter that you find will also impact people’s productivity. If there was so much on your desk that you could no longer find your notepad and pen when you needed it, would you not become distracted and annoyed at the fact? Clutter can also make people sicker as a result of the accumulation of dust and is something else that should not happen. You can never go wrong with adding more plants everywhere. Plants make people more productive, and this is primarily tied to improving air quality. Plus, a green space always looks more aesthetically pleasing, which in turn, can make employees feel happier as a result of it. This is a simple solution that does not require a lot of money on the part of the company, either. As much as you want to create a place that everyone enjoys, you also should not over-do it. For example, while it’s important to have one activity room and even one to two break rooms. You don’t need five of these. At that point, you would simply be wasting company funds by pushing it too far. Invest in making the place more fun and aesthetically pleasing. However, there are other factors to consider as well, such as the company culture and values themselves. These factors can add to how an employee feels while they are at work. The very last consideration you can keep in mind is that of future growth. As your company grows, and the number of employees that you also require increases. The office space will need to become much bigger. However, if you consider this at the very beginning, and already start with more space, you don’t have to worry about moving to another property as quickly. Offices spaces can be as fun as you make them to be. Still, when the sky is the limit, it could become hard to decide how you should set them up. At all times, you must keep in mind the employees. Whether or not their productivity and creativity will benefit from the place you have set up. Bright orange and red colors are known to inspire people and make them happier. Maybe it is something that you should seriously consider incorporating in the office space. Take some time to consider what the best courses of action would be. Are you using the existing space or would office renovations be necessary? Ask your employees how they feel. Do this, and you will notice your employees will value your company and be much more productive as a result of it.